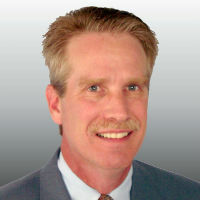 David Zirkle has more than 20 years experience in applying innovative marketing and planning techniques to support and enhance the business decision-making processes in healthcare. His past experience includes the full array of marketing disciplines including strategic planning, market research, brand development and tracking, service line planning and marketing, customer satisfaction measurement, competitive analysis, market segmentation and CRM implementation, direct marketing and sales management. David has served as vice president of strategic development for a major international company providing clinical decision support tools to the healthcare market. Prior to that, he was director of marketing and planning for one of the largest healthcare systems in the country. In addition to strategic planning, market research and business development activities, David managed physician referral development and call center operations. He is a past president of the Indiana Healthcare Marketing and Public Relations Society and holds a doctorate in statistics from Oregon State University.